Down and Out is a travel company designed for people who find the world a fascinating place and who feel the irrepressible need to live life to the fullest. 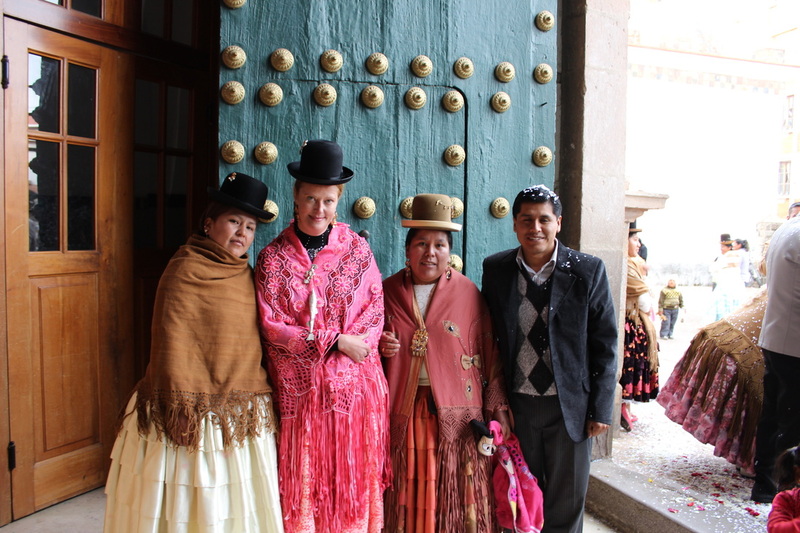 Founded by adventure travel author Wendy Dale, the company offers its travelers the chance to experience a culture first hand and to mingle with the locals. Sometimes this means enduring a small amount of discomfort. But it's good for you. And fun too. 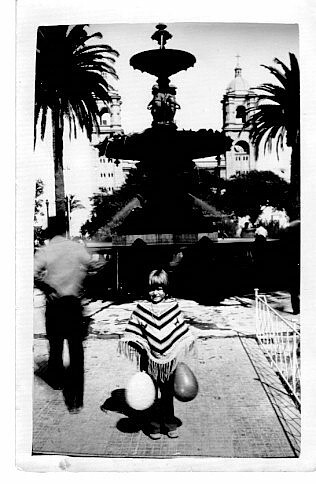 Wendy Dale lived in Peru from the age of four to the age of seven. She was born in Arizona to American parents and currently holds dual U.S.-Bolivian citizenship. She has spent a third of her life in Latin America (Peru, Bolivia, Costa Rica, and Colombia) and has lived in California, Tennessee, South Carolina, Minnesota, Montana, and Germany. Please don't ask her where she is from. If you do, she will probably tell you "Los Angeles," the place she lived the longest (18 years). 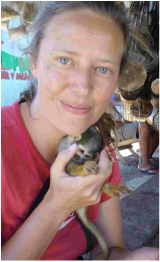 Wendy with her Amazon parrot Soren in Copacabana, 2014. ​A confusing time of dictatorships, coups, and social unrest. ​I was a very small girl. I didn't understand any of this. What really bothered me was that we didn't have a TV set. Or a telephone. That year, my family would return to the States and I would encounter my first vending machine. I wish I could say that buying Nehi Peach for a quarter in Cookeville, Tennessee was not a seminal experience, but it remains of the happiest memories of my childhood. 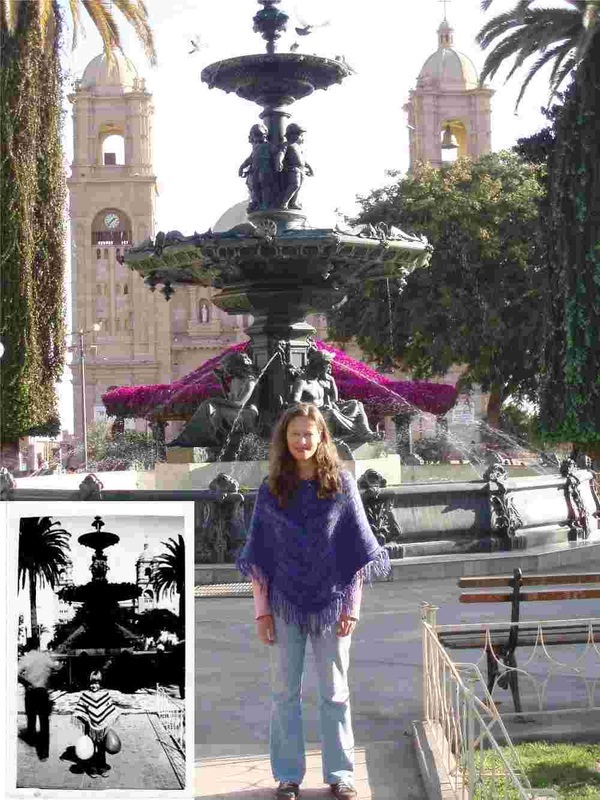 I returned to Tacna, Peru in 2006, twenty-eight years after leaving. ​I was investigating coca growers in Peru for a novel contracted by Penguin Books. I had no desire to learn about the cocaine industry, but rather wanted to learn about the traditional practices of growing the coca leaf, used since Incan times. I ventured into coca fields understanding that many writers before me had been killed investigating this very same process. 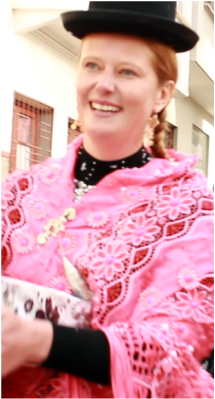 A dear Bolivian friend loaned me the appropriate dress for her daughter's baptism. It was one of the kindest messages of acceptance I've ever received in my life. "Mix David Sedaris, Lucille Ball, and a fifth of tequila in a blender [and] you get Wendy Dale, who is quite possibly the funniest travel writer since Homer. But strain off the foamy giggles and you’re left with a raw, smart, and passionate woman in search of herself and awestruck at the beauty of even the ugliest corners of the earth."